Made his debut with BC Buducnost Podgorica (Montenegro) 2nd team, 1B during the 2009-10 season. 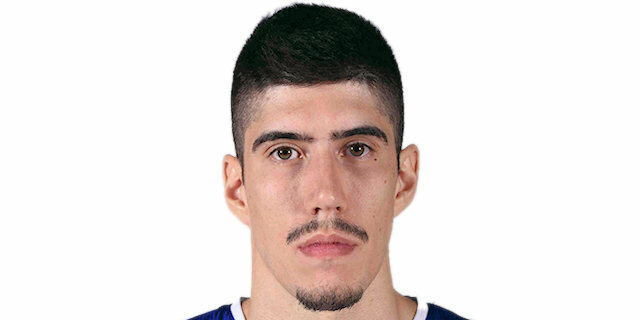 Made his debut with BC Buducnost main team during the 2011-12 season and also played with KK Podgorica. Signed for the 2013-14 season by KK Cetinije Lovcen. Moved to Serbia for the 2014-15 season, signed by Mega Leks Belgrade. Moved to Spain for the 2016-17 season, signed by Bilbao Basket. Won the 2011-12 and 2012-13 Montenegrin National Championship with BC Buducnost Podgorica. Won the 2016 Serbian National Cup with Mega Leks Belgrade. Won the 2018 and 2019 Montenegrin National Cup with BC Buducnost Podgorica. Played at the 2011 European U-18 ‘B' Championship. Played at the 2012 and 2013 European U-20 Championships. .has been member of the Montenegrin University National Team. Played at the 2015 World University Games.